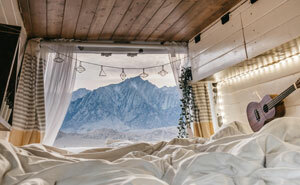 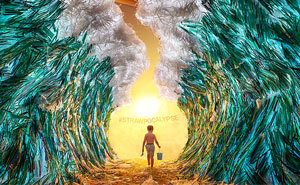 They say that seeing something old in a new light is the true creativity – and a five-member art collective from Japan once again proves this to be true. 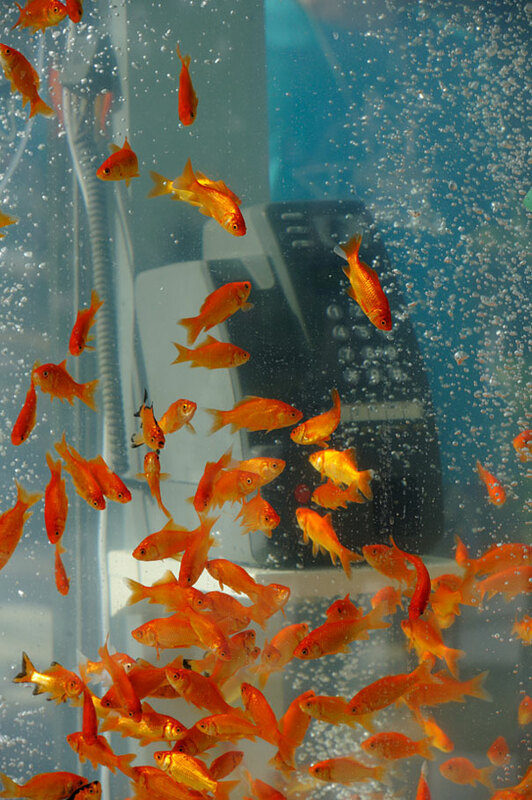 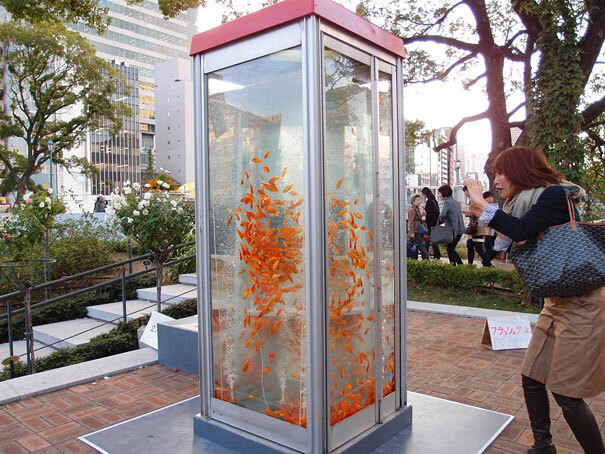 The group of art students that call themselves Kingyobu (meaning ‘the goldfish club’ in Japanese) have decided to transform old telephone booths on the streets into giant goldfish tanks. 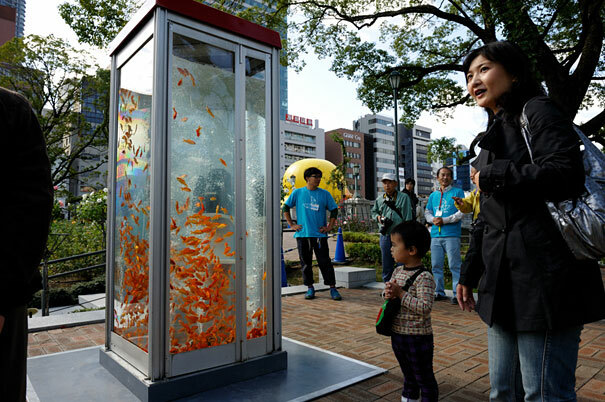 In Japanese culture, a goldfish is an important symbol of happiness and prosperity, therefore shimmering Gold Tele aquariums not only instantly catch your eye, but also incorporate something magical into everyday’s life on the streets of Osaka. 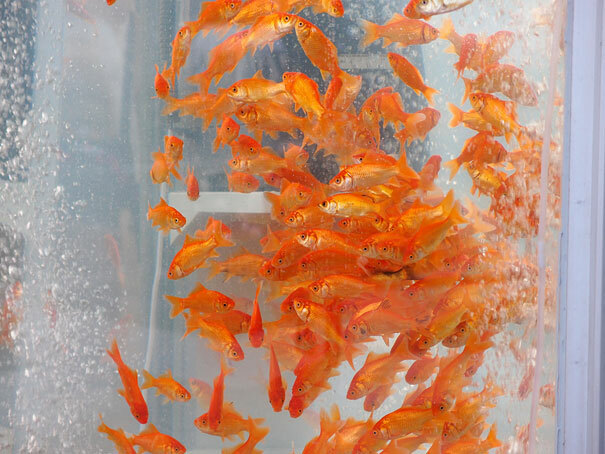 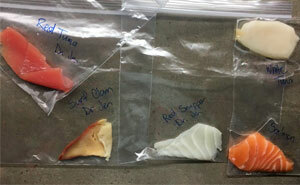 Recognized for their red jumpsuits, the members of the Kingyobu installed their first aquarium in 2011, and several other followed throughout 2012.